A corporate bond can trade either at a premium or discount to the bond's face value as the market interest rate changes. When the market interest rate is lower than the corporate bond's coupon rate, the bond will sell at a premium. 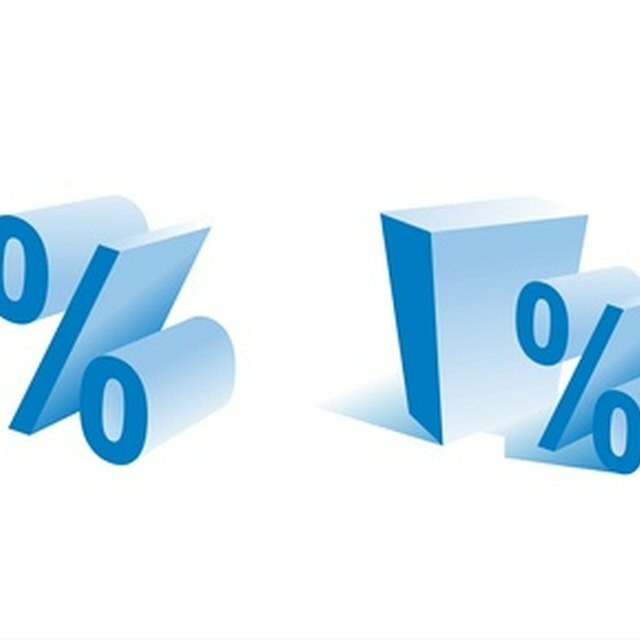 When the market interest rate is higher than the coupon rate, the bond will sell at a discount. Additionally, the value of a corporate bond also changes as the term of the bond shortens towards maturity, unless the market interest rate is equal to the coupon rate and the bond is selling at par. Gather corporate bond information. To calculate the value of a corporate bond, the following data must be known: coupon rate, face value and bond term, or practically years to maturity. Suppose the corporate bond has a coupon rate of 5 percent and a face value of $1,000. Also assume that the bond pays out interest once a year and thus the annual coupon payment is $1,000 X 5 percent = $50. Lastly, the bond is a 10-year corporate bond and has two years before maturity. Determine market interest rate. Factors affecting market interest rate include inflation expectation, bond rating, bond trading liquidity and bond maturity, according to the 2005 book "Financial Management" by Eugene Brigham and Michael Ehrhardt. Suppose the corporate bond has a AAA rating and trading in the bond is considered liquid, especially given that the bond has only two years before maturity. Further assume that future inflation is on the rise. Since a rising inflation has less impact on shorter-term bonds, investors likely will demand smaller increase of yield on the two-year-to-maturity bond. Therefore, all factors taken into account, the corporate bond has a presumed market interest rate of 4 percent. Apply bond valuation formula. The value of the corporate bond is the sum of the bond's future value, the annual interest payments and the bond principal returned at maturity, discounted at the market interest rate. The value of the corporate bond is calculated as 50/(1 + 4 percent) + (50 + 1000)/(1 + 4 percent)(1 + 4 percent) = 50/1.04 + 1050/1.04 X 1.04 = 48.08 + 970.78 = $1,018.86. Therefore, a corporate bond of $1,000 in face value and 5 percent coupon rate with two years left to maturity has a market value of $1,018.86 when the market interest rate is 4 percent. Use a financial calculator featuring functions of present value and future value to perform multiple-year valuation. Lower corporate default risk and liquidity risk demand lower yield from investors and thus impose lower interest rate on the corporate bond. If the market expects inflation to decline, investors would like to buy longer-term bond as opposed to shorter-term ones. Corporate bonds like the one in this case with only two years before maturity may have to offer a higher yield to attract investors and that can cause a drop in price.